ZYMZO - Date Perfumes Before Marrying Them! - Cherry Colors - Cosmetics Heaven! ZYMZO - Date Perfumes Before Marrying Them! It couldn`t be easier! 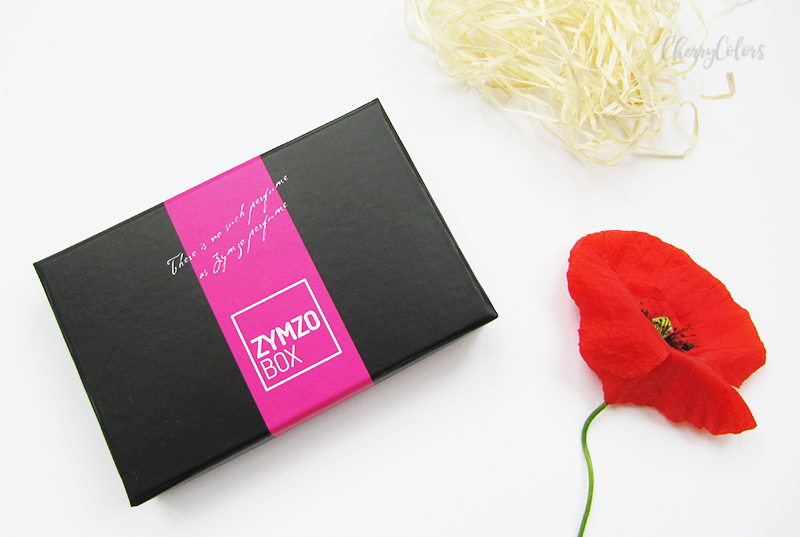 Choose Zymzo box. Get first one for FREE! Receive new premium perfumes each month right to your door with FREE worldwide delivery! Save time & money & always smell fresh! Get fragrances that you really like in our SHOP! YES, we are changing the game of perfume industry. Let`s change it together! ZYMZO's subscription box intrigued me so I decided to give it a go. Come with me and let's see what's inside :). I got the Triple X which contains 3 vials of 2.2ml packaged in a sleek box. Since the brand is from Slovenia, shipping took absolutely no time (1-2 days) and I was surprised to see that the box is absolutely small. Really small. A bit bigger than my palm. It was packaged in a bubble envelope, so everything came safely to me. The box comes with ingredients written on a black sheet of paper (pretty) inside the box, but there are no fragrance notes. As in there isn't written which is the heart note and so on. I am not a professional perfume smeller (a nose) and I can't really point which are the notes that these fragrances contain. And that is something that needs to be added. Because you know, I like knowing which notes I love the most. The perfumes were sent were at random (as far as I do understand it) and the designs of the vials are pretty cute. A lady-head on a pink plastic cap and the bottom part is a glass vial covered in black matte paint with the names written on them. Yes, the names are "Love, Now, and Story". I didn't know that at first. I thought that those were just simple names because the whole name just wouldn't fit on the vial. I was wrong :P. And not everyone gets the same scents at the same time. It's more of a random thing. The vials need some working on, and the company is fixing the problem - some of them are leaking and stop working after one or two pumps. You can usually see right away which ones are those because the plastic part is wet (as you can see on the picture). When I let the company know that there was a problem with the vials, they got defensive. I was shocked because I meant well. But after more talking, we realized that there was a misunderstanding and all was well. They told me that if a vial (or several of them) is leaking, that they re-send the leaking vial again. Free of charge. I really liked the scent Love which reminded me of some old school soaps. It's a scent I normally wouldn't care about, but it somehow hit the right spot and I fell in love with. Plus, since my original box came with 2 leaking vials, they re-sent me only the scents I loved (Love and Now). Now is a fresh floral scent and I can't really tell more about it since I feel that without the notes written somewhere I'd really just miss the whole beauty of it. I liked it, but not as much as I liked Love. Story is a strong musky scent that just didn't work for me. I could hardly stand the scent, so I used it just once. It's too strong. And if you really like a scent, you'll be able to purchase it in their store (starting from September). The perfumes are a "house mix", so it's their own brand. Travel-friendly, easy to use and great for playing around with scents. I feel like the idea is really great, but it needs some working on before the whole thing will become even better. But on the good side - you can try your first box for free before committing to the whole thing. So, if perfumes are your thing, I feel that this pretty inexpensive subscription box (the shipping is included in the price) is worth trying. And if you like it, you can buy them here. P.S. Za moje Slovenske bralke, sem posnela video recenzijo + unboxing. Video najdete tukaj.